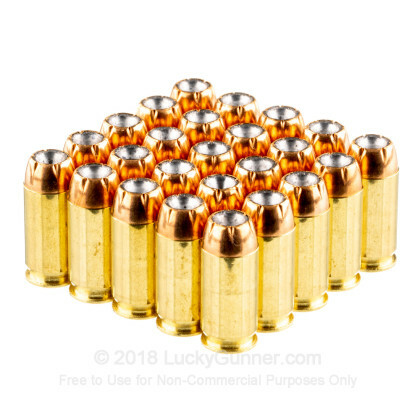 This 45 ACP cartridge by Sellier & Bellot sports a 230 grain jacketed hollow point projectile, the same bullet weight offered by the caliber when it was first introduced. 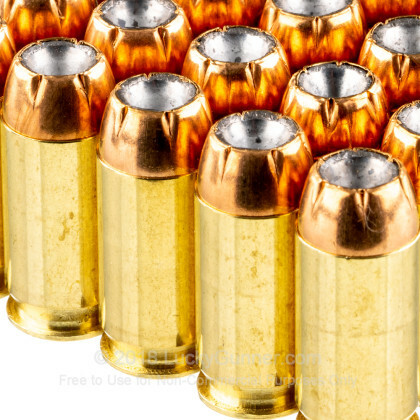 The bullet’s jacket, which is 90 percent copper and 10 percent zinc, not only protects a pistol’s bore against rapid lead fouling, but also facilitates in penetration and has indentations along its nose which control the planes along which expansion occurs. The round’s 889 fps muzzle velocity is just a shade faster than what is typical for a government issue M1911A1, and certainly complements the round’s great stopping power. This cartridge also features a responsive and non-corrosive Boxer primer, as well as a precisely formed factory fresh brass casing, the perfect combination for handloading. 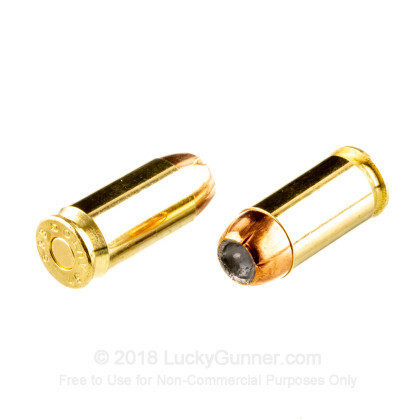 These cartridges are designed to feed and function in any number of firearms, making them a versatile choice whether you would load them in a bread and butter 1911 or an uncommon Luger carbine. 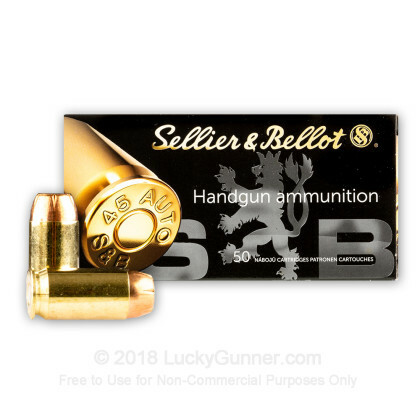 We don't have any reviews yet for this particular .45 ACP (Auto) ammo from Sellier & Bellot. 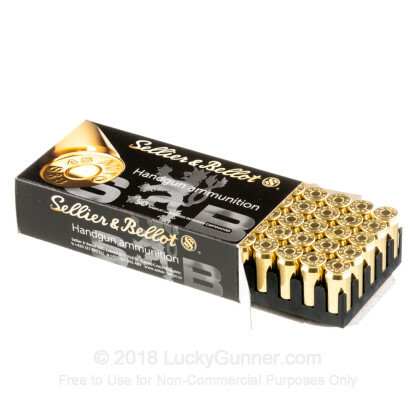 If you'd like to be the first to review this particular .45 ACP (Auto) ammo from Sellier & Bellot, fill out the form below. 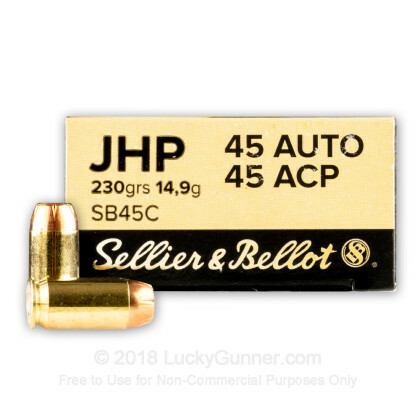 We also have this 45 ACP - 230 Grain JHP - Sellier & Bellot - 1000 Rounds ammo in stock in a bigger quantity.